After struggling with depression, Tricia Martinez decided to take up the 2017 $250k challenge, only to come out as a changed woman. Let’s read through Tricia Martinez’s journey to finding her true self. You began your fitness journey while battling depression and wanting to make a change in your lifestyle. What motivated you to embark on this journey? After my Mother passed away, I went through a very hard time and ended up in a deep dark place that led me to become depressed and overweight. One day I looked in the mirror and I started crying because I didn’t recognize myself. The woman I saw in the mirror, was not the woman I wanted to be. I knew at that point that I needed to make a change to my lifestyle and take my life back. I thought to myself, how do I take my life back, how do I lead by example for my children, how do I become the rock of my family again? For starters, I needed to become more active and eat healthier, I couldn’t allow my children to think that the unhealthy lifestyle I was living was ok. This was the point where the realization hit me, if I wanted to help myself end this depression, I needed to find myself again. My family needed me to be their rock and I was going to do everything I could to do this for them, but most importantly for me. 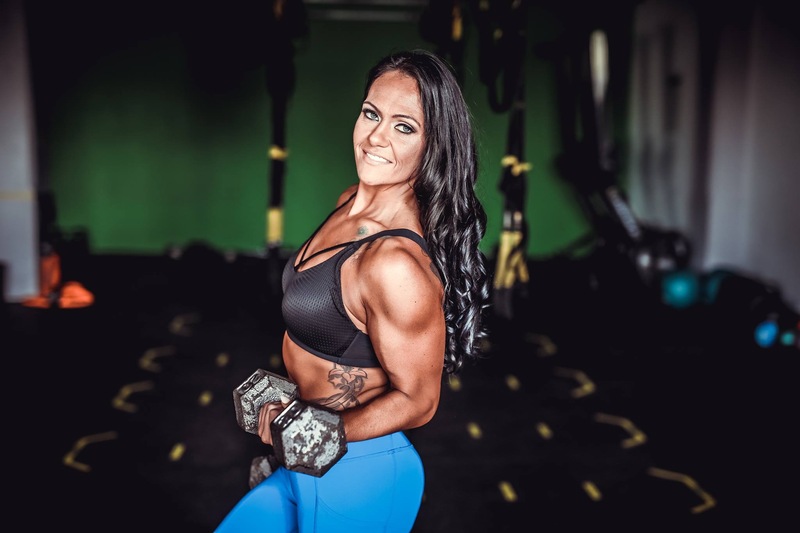 I started searching for ways to change my lifestyle and that’s when I came across BodyBuilding.com and noticed that there was a 2017 BodyBuilding.com challenge approaching. That challenge couldn’t have come at a better time in my life. This was my chance to regain my confidence, my health, most importantly, gain my life back! In the course of your fitness journey, what were the milestones that you had to overcome? As I started my fitness journey I worked two jobs, had to take care of my family, help my oldest son with college prep and find time to fit in the gym for myself. I had to learn how to balance everything without taking time away from my family. I knew that I couldn’t make excuses as to why I can’t do something, instead I had to make fitness a priority in my life. With all that I had going on daily, I would find myself at the gym by 5:00am for fasted cardio, taking workout classes over my lunch hour and lifting sessions would range from 10pm – 2 or 3am most nights. After the end of the 250K Challenge I was on top of the world thinking that 2017 was going to be my year to shine, then life threw an unexpected curveball at me. 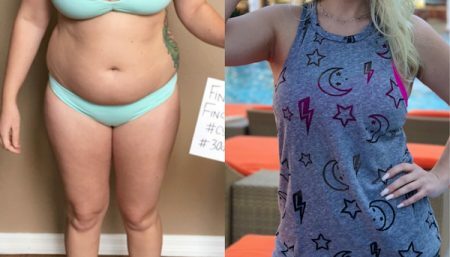 I ended up having to be hospitalized, I gained 22lbs during my hospital stay and had to undergo five very unexpected surgeries over the course of four months. In between all of these surgeries I consistently stayed on top of my nutrition plan that my coach gave me so that when I was able to workout again, I could bounce back quickly. Staying on top of my nutrition absolutely helped me bounce back and continue my fitness journey stronger than when I started. Workouts: I do 30 minute steady state fasted cardio 5 times a week followed by a 5 round ab routine, I lift heavy 5-6 days per week and I end it with a HIIT session on 4 of my lifting days. Supplements: I use the BodyBuilding.com Signature Series BCAAs, 100% Whey Protein and Multi-Vitamins daily. You took part in the 2017 $250k challenge, how was the experience? I entered this challenge with the mindset that I can do this, but I couldn’t do it alone. I hired an online coach, FitnessPoynters.com, to help me with my meals and workouts, but the weekly challenges that BodyBuilding.com held pushed me to go outside of my comfort zone and push myself to the limits. After only a few weeks into the challenge I was already feeling happier, healthier, and more active. The challenge taught me how to change my lifestyle, my mentality, and helped get me out of depression. There were many days when I wanted to give up on myself, but the social media groups that BodyBuilding.com had, helped keep me encouraged and motivated to continue. I would see others in this challenge pushing themselves which in turn positively made me want to push myself to the next level as well. I didn’t want to give up on myself and I wanted to lead by example for my children. I wanted them to see that you can do anything you set your mind to and that if you want something bad enough you have to work for it. I realized that this was the perfect challenge to help take me to the next level and I was starting to feel like myself again. The depression was going away and I was learning how to be happy again. I ended up placing top 25 in the challenge out of 50,000+ participants worldwide and that was a very surreal moment in my life. At that point I realized that I had taken my life back and regained the confidence I used to have. The 2017 BodyBuilding.com $250k challenge was the most amazing, life changing, eye opening experiences of my life. On a typical day breakfast would consist of egg whites and avocado, lunch is Cod, asparagus and almonds, and dinner would consist of Cod and asparagus or cucumber. In between breakfast, lunch, and dinner I have snacks which could include chicken, protein shakes, or even more fish. My go to healthy snacks are a handful of almonds, a protein shake, or a cup of non-fat greek yogurt with mixed berries. With so much happening in and around the world of fitness, tell us about your 2018 Fitness goals? My 2018 goals are to continue to work on myself and transforming my body. After going through a few transformation competitions I have found a new love for building muscle so I would like to add on more muscle and hopefully step on stage in my first Figure Competition by the end of the year. Share with us your top 5 tips for someone who is looking to make a difference in their lifestyle and give away unhealthy habits. 1. Make yourself a priority and go in with a mindset that nothing can stop you from achieving your goals. 2. Find your “why”. Why do you want to do this? When you feel like giving up, remember your why and how important it is for you to change your lifestyle. 3. Find a dependable accountability partner or get involved on social media with the Fitness Community. It is always great to reach out to someone who can push you to keep going when you feel like giving up. 4. Get rid of all unhealthy food or drinks in your house. Clean out the cabinets and start with fresh veggies, lean meats, healthy snacks like almonds, and make sure to fill up on water. 5. Go to BodyBuilding.com for tons of resources, including but not limited to, how to calculate your macros, healthy recipes, workout guides, and training programs. Do not make excuses, this is your time to shine. Prove it to yourself that you CAN do this. 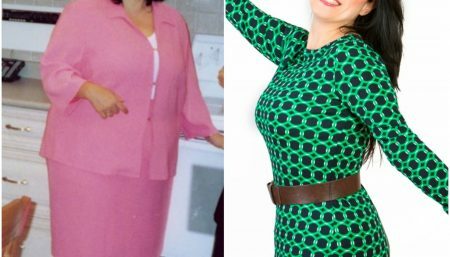 Real Weight Loss Stories How Did Kat Murzl, A Cycling Instructor, Lose 40 Pounds? 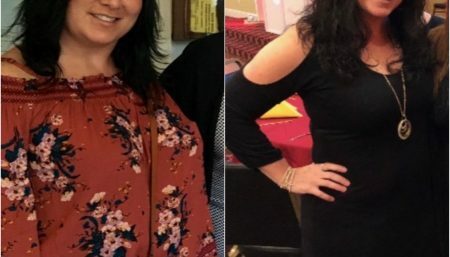 Real Weight Loss Stories Sandra Elia Loses 100 Pounds & Keeps It Off Too! 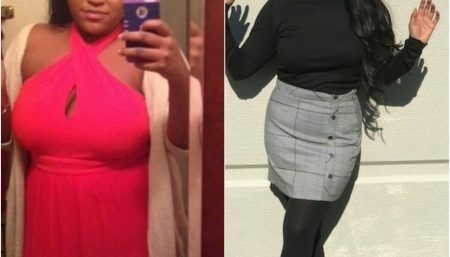 Real Weight Loss Stories KenDrea Mayes' Confidence Skyrocketed After Losing 90 Pounds!